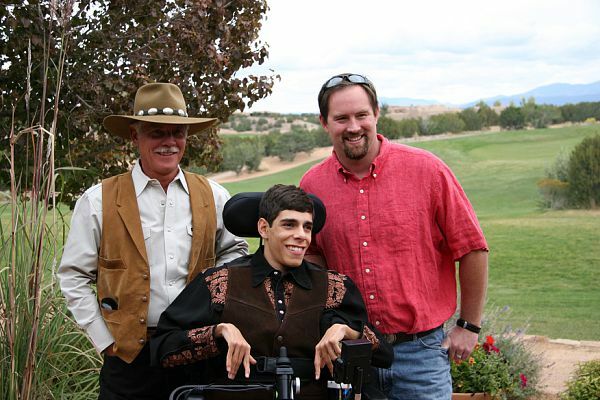 As a parent of a young man with disabilities, I have seen how Las Campanas Compadres has been a place where he not only has made great friends, but has had so much fun while being part of a group that celebrates his talents and encourages him in all his endeavors to grow. With that kind of support, he has discovered there is nothing he cannot do if he just has a means for adaptations and for people to come up with ideas to make it happen. I thought the best plan of action was to investigate what I was incredulous to hear was a FREE program. I decided to call the riding instructor to get more information. Georgia Smith was sensitive to my hesitation to “sign up right away” like my son wanted, and she understood my need for assurance about safety. She kindly suggested we go to a lesson and observe how things were run, and watch someone who had been riding since the beginning of the program. She thought it would be helpful for us to watch a rider who had a similar disability as my son. She arranged for us to watch a lesson the following Monday and gave us clear driving directions to the Las Campanas Equestrian Center. We easily found our way and my son’s excitement was palpable as we neared the place. I was amazed at the beautiful facility and saw that the indoor arena where the lessons are held were attached to a top-rate stable area. After watching a half-hour lesson, I immediately picked up on the gentleness, the teamwork of the program’s volunteers, and the respect that the LCC staff had for the student. There was laughter and camaraderie between the instructor, the volunteers and the rider. We saw how he obviously enjoyed his time on the horse. When the lesson was over, we were greeted warmly by the staff that had just finished the lesson, and they encouraged us to return to take part in the program. They wanted to know as much about my son as they could, to make the riding experience as rewarding as possible. They said it would be helpful to them, as well, if his physical therapist would care to join us for initial lessons to teach them more about John’s disability and what they could do to make the therapeutic part of riding beneficial for John and also, (my personal favorite) to avoid injury. I was convinced we had found a unique program with people interested in running their program professionally. I was glad they made sure to have a NAHRA (North American Handicap Riders Association) rated riding instructor. I joined my son in his enthusiasm, had a family meeting about the decision, and we “signed up”. My son always looks forward to his riding lessons. Over the years, he has achieved several goals the LCC staff has set for him. He uses the amazing saddle that allows him to ride without a back rider, and has even learned to trot. There is always laughter and fun on the Mondays he rides and I have seen him learn to be more personable, to respond positively to achieving goals and to do his best to promote the program he has come to love so much. There are certain animals in this world that are simply magical. They possess something extra that links our hearts to theirs, and they have a sensitivity that detects when someone needs extra gentleness. 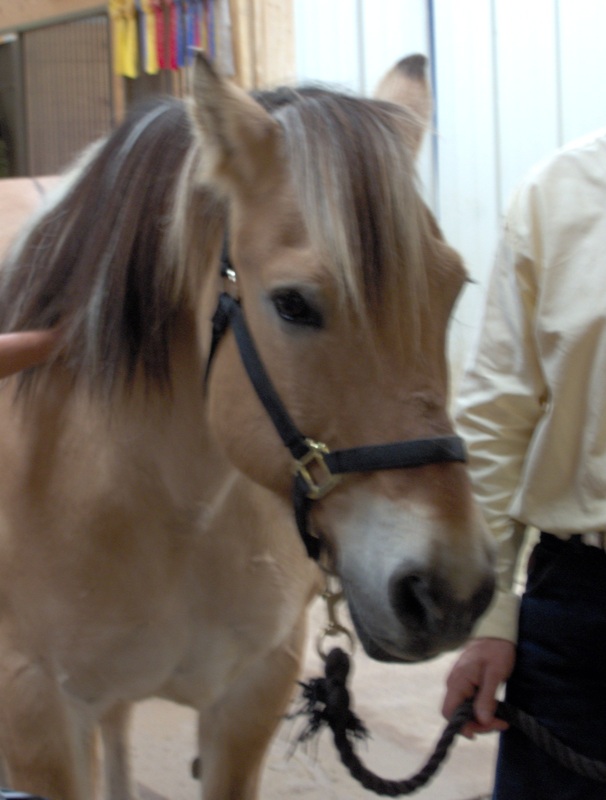 Such an animal was our “Shiloh”, the Norwegian Fjord pony who for four years gently carried Las Campanas Compadres participants as they learned to ride. At the Las Campanas Compadres 2011 Awards Ceremony, a group of participants, parents, volunteers and guests were relaxed and sitting in the center grassy area of the Las Campanas Equestrian Center. Surrounding the green were top-opened stalls and the Equestrian Center’s tenant horses peered out at the crowd. One of the co-founders of LCC, Suzanna Becerra, was just beginning a memorial speech, honoring Shiloh, in her lilting British accent. Shiloh’s legacy of having magical qualities was evident when Suzanna first spoke his name. As soon as his name was uttered, the horses in their stalls seemed to applaud his memory with resounding neighs and whinnies, loud enough to interrupt Suzanna’s speech. The crowd immediately recognized the moment as one of those sparkling, wondrous connections with the animal world. Founded in 2007, this 501-C3 non-profit group’s mission is to provide therapeutic horseback riding, swimming and social activities for people of all ages who have a disability in the Santa Fe, NM community. The LCC programs are free to participants. 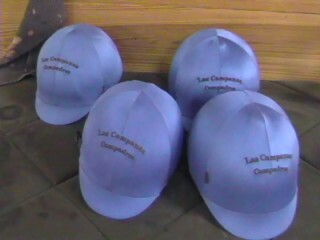 LCC is a charitable foundation. The horseback riding and swimming are taught by accredited instructors. The agency has no employees. The programs are run by volunteers, and the officers of the company work pro-bono. The founders fund 100% of the infrastructure costs. LCC fund-raises to purchase equipment and pay instructors for the programs that are run year-round. One excellent way you can easily contribute to this valuable agency is to use the Amazon.com link on this page (See LINKS on the right side) to access the Amazon.com site when shopping. By using this link, a percentage of your purchase will be gratefully received by Las Companas Compadres. Your purchase of items from Amazon.com which you already intended to buy, will benefit a worthy organization. Using this link is much appreciated. You are helping to continue LCC”s mission and provide valuable activities for people with disabilities. On the LCC site, the same charitable link to Amazon.com can be accessed on the Home Page and on the “Support the LCC” page.